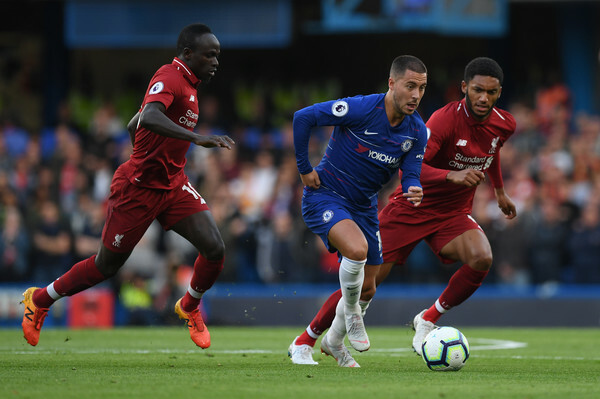 Home > betting > featured > Opinion > Premier League > Premier League Matchweek 34: Preview, Betting tips and Predictions - Who blinks first? Man City or Liverpool? Football has a way of confounding it’s teeming followers, blame it on the expectations of the fans and sometimes on the largesse that is at stake, with European football at the centre of the focus, you hardly can tell what to expect. Manchester City may have it all to do at the moment with lots staring them in the face, no disrespect to Tottenham Hotspur, many didn’t expect them to lose at Spurs’ new stadium but the prince of Korea had other ideas, the silent assassin found chink in the armour of the Citizens and threw the tie in the directions of the north London challengers. The other night, Manchester United didn’t do themselves any favours but they didn’t lose sorely; they had their moments but poor thinking and strange decision-making upfront proved their albatross. While it would be wicked to review or judge Ole Gunnar Solksjaer by the result against Barcelona on Wednesday night, his game reading has to improve and going into the second leg he has to dare the lions and repeat the Parc De Princes miracle, Barcelona weren’t spectacular on the night at Old Trafford, and United weren’t totally poor, a few men were two steps backwards and few chances weren’t well taken, on to the second leg we go. With Palace up next for the Citizens, there’s more to the fixture than three points, the Eagles beat Manchester City at the Etihad in December to upset the bookmakers and threw the champions in disarray that was followed by defeats at Chelsea and Leicester and Pep Guardiola would know there are absolutely no margins for errors at this stage. Palace may have secured premier league football next term with the win at Newcastle, the game had stalemates written over it until the usual suspect, Wilfried Zaha was tumbled over by the American rightback Deandre Yedlin in the area and Luka Milivojevic dispatched as always, his tenth from the spot all season and that makes the Eagles the most favoured side in the league in terms of spot kicks award. City must win to keep the title race well and truly on and it should be straightforward considering the fact that the Eagles aren’t pressured as they’re nine points above the drop zone. Liverpool triumphed over Southampton after the initial false alarm following Shane Long’s opener, Mohammed Salah returned to scoring ways and the team went on to win on Tuesday against Porto to place one foot in the semifinal of the champions league. Sunday is a different ball game, however, the opponent on the day is Chelsea and it means one thing, the Blues have top-four hopes hanging in the balance with the Kops and United still to come, they’re third right now but could slip to fifth should Arsenal and Sours win, this fixture will light up the league on Sunday. Earlier on Saturday, Manchester United have a chance to prepare for Barcelona with the visit of Westham to Old Trafford, Ole Gunnar Solskjaer can’t afford to make mistakes of selections, the priorities must be right at this stage, UCL win is great but making sure you’re part of it next season will no doubt boost the confidence in him. He’s an outsider at the moment in sixth and can’t throw in the towel, picture losing to Barcelona and still missing out on top four, that would destroy all the hard work of the past few weeks and put questions around his choice as manager, he must win on Saturday and send warning signals to the Nou Camp. Westham on their parts won’t win the title of the best of the rest, they’re 11th and five points off Leicester who seem to do any wrong with the attitude they currently show to games, from body language to displays, Westham have been poor of late, they were just there for the taking against Chelsea, poor by all standards and only have top ten to dream of, this shouldn’t be a problem for United to deal with. Burnley hosts Cardiff on Saturday in what is a straight relegation six-pointer for the Welsh side, Neil Warnock’s side have injuries to deal with and they don’t score many goals, but Burnley had same problems before and they have fixed it, they put three past Bournemouth last weekend and strengthened their cause to be here next season, except for a huge collapse, the Clarets should be well and truly over the line, compact, disciplined and decisive when it matters, give it to Sean Dyche. Brighton need to press the panic button, the heroics at the FA Cup front came to an end already with the defeat to Manchester City at the semifinal, brave and hurtful but they now have to make sure they don’t sink to further despair with them just five points above Cardiff but have seven to play although three of those are against Spurs, Arsenal and City on the final day, they must secure their spot in the league next season before their final two fixtures. Bournemouth aren’t particularly safe yet, ten points off Cardiff is a terrible stand for a team that was hunting for European places earlier on in the season, but it is what it is, Chris Houghton must sit his lads up and focus against the Cherries who seem not to care these days. Arsenal will look to forget their horrendous showing at Goodison Park on Sunday when they visit Watford on Monday night; they really have to sort their away form if they want to make top four. Watford are in Wembley for the FA Cup final clash with Manchester City, who says they can’t do it? They came from two down to dump Wolves, extraordinary to be honest and that must send signals to Arsenal, in fact Watford are favoured to do their business here and strengthen their case for seventh, they are of course in Europe already by the virtue of the Wembley date with City and now have strong finish to aim at. Arsenal on their parts have two versions, the one that plays at home and the one that plays away, with Napoli trip days afterwards, the Gunners have questions to answer here. Loads of tricky games everywhere, here we go with our predictions for the next round of EPL games. Strictly the writer’s opinion. Gamble Responsibly.